A newly drafted protection for "micro" weed farmers is making its way through state lawmakers' chambers. The Assembly just passed North Coast Assemblyman Jim Wood's “Cottage Cannabis Farmers Bill" that would add a new medical marijuana cultivator license to the state regulatory framework passed last year. The new license type will be available to outdoor farms under 2,500 square feet and indoor grows under 500 square feet, and will be regulated by the California Department of Food and Agriculture. “We are trying to ensure small medical cannabis growers on the North Coast can continue to do business as this industry moves forward," Wood said in a press release. "It is not fair to require the small farmers to adhere to the same standards as larger operations." The other bill, drafted by Bay Area Assemblyman Rob Bonta, would add a variety of layers to last year's regulations. "[It] authorizes research on medical cannabis and development of new products, sets standards for delivery services, creates a banking advisory group, allows current operators and new businesses to organize as for-profit entities, and regulates advertising by medical cannabis businesses," according to a press release. Today, Assemblyman Jim Wood’s “Cottage Cannabis Farmers Bill” passed the Assembly. AB 2516 will create a new medical cannabis cultivator license for “micro farmers”. 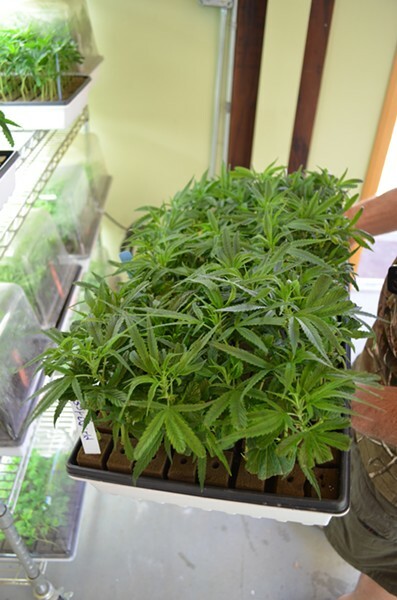 The new license type 1C, or specialty cottage cultivator license, will be available for farms with 2,500 square feet or less of total canopy size for outdoor cultivation, or a maximum total canopy size of 500 square feet for indoor cultivation. The CDFA will issue the licenses to qualified candidates as well as develop the requirements for each license type. AB 2516 will be heard next in the Senate Rules Committee. Today, the California State Assembly passed AB 1575, a bill by Assemblymember Rob Bonta (D-Oakland) to strengthen implementation of California’s landmark Medical Marijuana Regulation and Safety Act (MMRSA), by a vote of 57-6. AB 1575 authorizes research on medical cannabis and development of new products, sets standards for delivery services, creates a banking advisory group, allows current operators and new businesses to organize as for-profit entities, and regulates advertising by medical cannabis businesses. AB 1575 is authored by the same bipartisan coalition of Assemblymembers who authored MMRSA—Assemblymembers Rob Bonta, Ken Cooley (D-Rancho Cordova), Reginald Byron Jones-Sawyer, Sr. (D-Los Angeles), Tom Lackey (R-Palmdale), and Jim Wood (D-Healdsburg). AB 1575 will now be referred to policy committee in the State Senate.